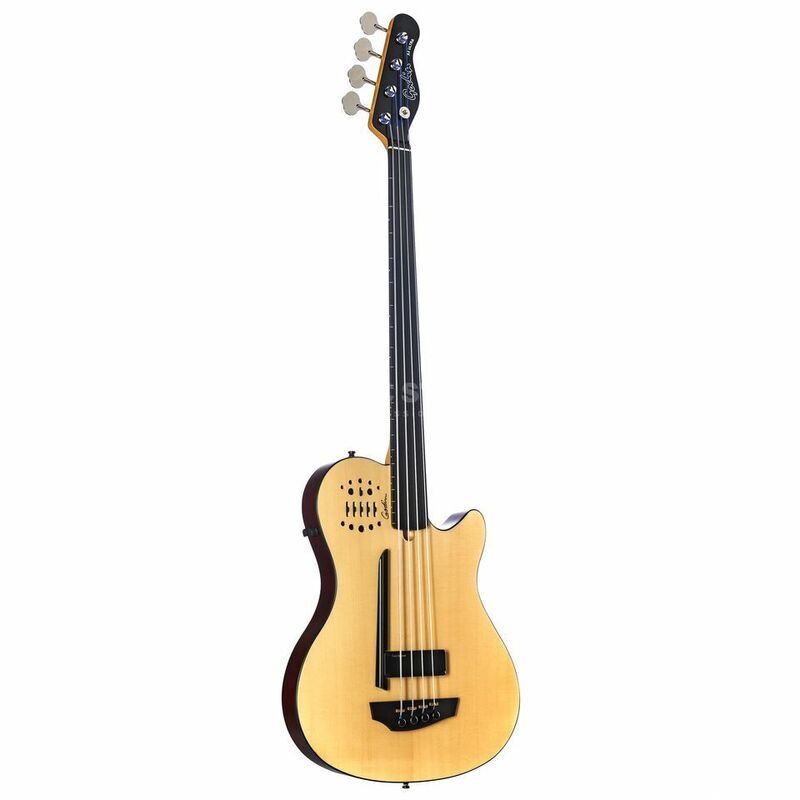 Godin A4 Ultra Fretless SA 4-String Fretless Semi-Acoustic Bass Guitar with 13pin Synth Access, Silver Leaf Maple Body With Solid Spruce Top, Ebony Fingerboard, Lace Sensor Pickup, Natural. The Godin A4 Ultra Fretless SA bass features more sonic possibilities than ever with the addition of a Low Profile Lace Sensor electric pickup with side mounted volume and tone controls. Other features include Custom Godin electronics with individual saddle transducers in the bridge, Custom preamp section voiced specifically for the A4 Ultra SA, as well as 1/4 output and 13-pin capabilities for computer and synth access. Incredible acoustic bass sounds are available through the 1/4” output jack and controlling your tone is made easy with the Custom Godin Preamp section. The two chambered body design found in all of the A-Series instruments is also at work in the A4 Ultra. This design resists feedback as well as the negative effects that loud stage levels can have on top vibration.